Carpet adds warmth, comfort, and is quieter than hard surfaces in your home. Today’s consumers can choose from an array of styles, patterns, fibers, textures, and performance characteristics. 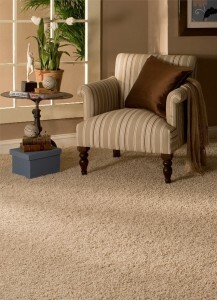 Residential carpet represents a substantial financial investment for consumers. An informed choice about carpet requires a balance between style requirements and practical considerations. Think about your budget, the amount of traffic the carpet will receive, and the amount of maintenance required. Assess your carpeting requirements by completing the following preliminary carpet needs analysis. What room or rooms will be carpeted? Consider the best flooring options for your room use. Are the spaces to be carpeted high, medium, or low traffic areas? What is your budget? Cost of carpet includes an appropriate pad under the carpet and an amount for installation per square yard. For each carpet sample you consider, get the price per square yard for carpet, pad, and installation. Also include the service charge of removing old carpet and moving your furniture. Keep this information in a notebook or on cards so you can compare samples. How many square yards of carpet do you need? Add square yardage numbers for each room. Add 10 percent to account for room irregularities and pattern match. Carpet usually comes in 12-foot rolls. Carpet dealers can help calculate how much carpet you will need if you have an estimate that includes the measurements of the rooms. Make sure the installer re-measures the rooms for a precise calculation for hallways and closets, matching patterns, seam placement, and for any stair steps. Table 1 lists the carpet fibers used for residential carpet and their major characteristics. Tufted carpet accounts for the bulk of carpet on today’s market. It consists of yarn inserted into a primary backing that creates a pile or three-dimensional textile. A secondary backing is applied with an adhesive to strengthen and stabilize the carpet. Table 2 shows the three general types of tufted carpet construction: cut pile, loop pile, and cut and loop pile. The following terms describe additional features of tufted carpet. Density: how tightly carpet fiber or yarn is packed together and bound into the carpet backing. The denser, the better. Face or pile weight: the number of ounces of fiber in a square yard of carpet; applies to the pile yarn. Pile height: the height of the cut pile yarns or uncut loops when measured from the primary backing. All three terms are associated with the quality of carpet. High density and high face weight mean more yarn covers the primary backing. The result is increased durability and appearance retention. While longer pile may look luxurious, it crushes more easily. Berber is a type of weave, not a fiber type. Berber carpet simply means that the fibers are a loop style. Generally it has the same height loops, but Berber can be made with various heights of loops or it can be mixed with cut loops of the same or different heights.